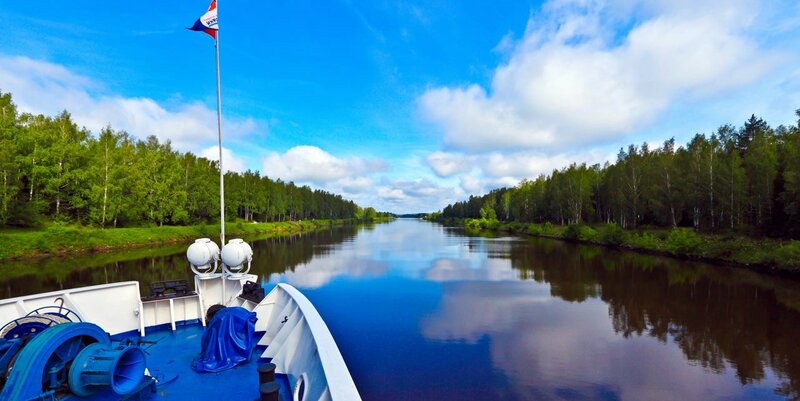 River cruises will be an amazing chance to see the country through the eyes of Russians. These cruises are suitable for genuine lovers of Russian culture who like to travel along the full-flowing rivers of Russia and enjoy the “Siberian beauty” even in the European part of the country. Passengers are learning Russian on board; they are given a course of lectures on cultural heritage and contemporary art. Tourists reinforce all their knowledge with the purchase of national souvenirs: matryoshka, hats with ear-flaps, felt boots and Russian vodka in gift packages. For example, Uglich city famous for its watch factory “Zvezda” production, in the Kostroma region goods are made from flax and organic materials , Goritsy and Mandrogi have well-known products from fur: from small key rings to a bag to chic fur coats. But the most valuable “souvenir” that tourists take with them are Russian songs: “Katyusha”, “Oh, Moroz Moroz” and “Moscow Nights”. Even forgetting the words, any foreign tourist will sing the motive of his favorite Russian melody and will tell in his homeland that “Russia is an amazing country” and he had a chance to resolve a little the secret of mysterious Russian soul.